Fighting through weight loss isn’t always straight forward. We fight confusing information and social pressures. But it’s more than that. We also fight our urges and our hormones, our own body fights us! We can all use a little help with mind-set and motivation to succeed. These powerful tips will help you do just that. To gain weight, you have to over-eat on a regular basis. You need to have relatively inactive life style. You need to have Insulin at a high level through the day and ideally load up on sugar. The truth is, if you eat healthy (and not over-eat) and stay active at a reasonable level, you will probably not gain weight. But, it doesn’t mean you are going to lose it as fat has already been stored in the tissue. Not storing fat, is not the same as accessing and using stored fat. 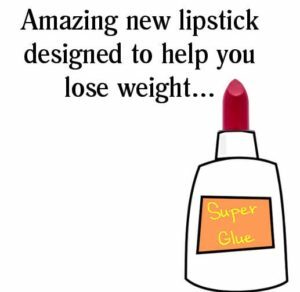 True weight loss (i.e. 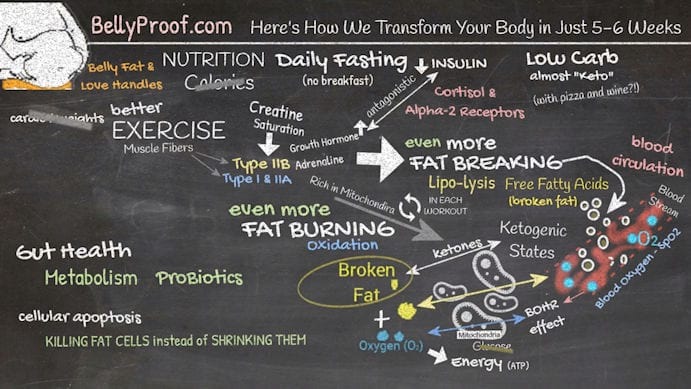 Fat Loss), is a complex sequence. It requires up-regulating certain hormones (such as growth hormone and adrenaline). It demands breaking and burning of fat (lipolysis and oxidation). It demands we look at factors like blood circulation, toxins and motor control. It goes a bit deeper but that’s the basics. Simply not over-eating and staying active is a good start, but that’s all it is – a start. You can see some of the science in the next video. Motivation and lack thereof can be a result of how we associate an activity with pain or pleasure. We usually start getting excited about weight loss when we are being inspired. Inspiration can come from many places: a chat, guilt, an advert we see on the train or a success story we watch on youtube. At some point, we get excited and want to take action. We picture our future fit self and how good it would feel. We imagine ourselves in that good looking bikini / speedos on the beach or in the bedroom with nothing at all. These thoughts give us pleasure and motivate us to take action. We say to ourselves “I’ll do anything it takes to look like this. I want it and I want it yesterday”. A week goes by and we dive in, clueless that this journey is going to take us out of our comfort zone. It can be food options and constant cravings. It can be soreness from exercise or just the chore of doing hard work rather than chilling out. At this point, we start feeling pain. Eventually, some of us lose the motivation we initially had. That picture on the beach or in the bedroom changes caption. We convince ourselves that “We gave it our best shot, we will try again next year”. Before we know it, we fall back into our comfort zone. It is true that some people enjoy pain. If you’re one of them, driving pleasure from pain should be easy on your way to your dream body. But if you’re an average person, what do you do? 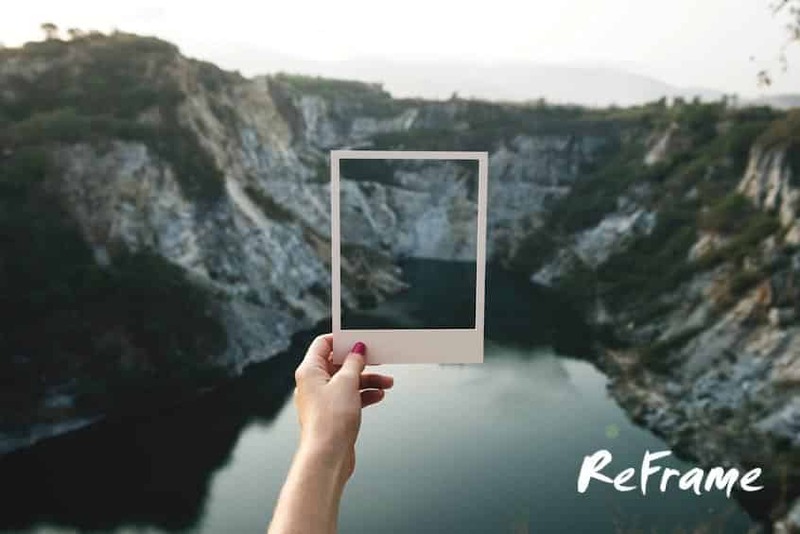 Reframe! Find and focus on the parts that makes it fun for you. Surely, getting stronger, stable, getting a sweat on and feeling alive is not all bad? Recognize you made a commitment to go to the gym and recognize when you made it happen. 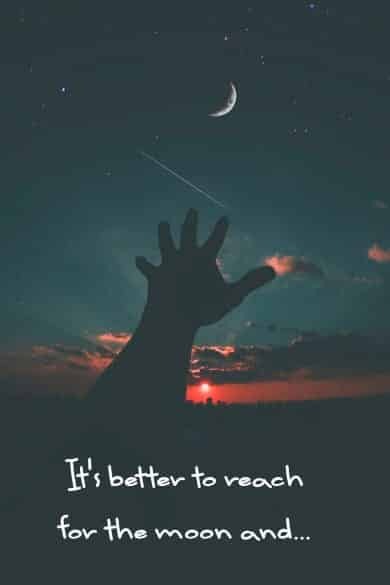 Give yourself a high-five and tell yourself to keep going. Sometimes a good piece of music while your train can change your experience. Try and change your playlist and see what happens. Training with a friend (or a trainer) where you feel there’s good interaction and a bit of competition. This can be a good idea for some people. Sometimes, you just keep going to prove yourself to other people. It sounds wrong but if it helps you in the process, who cares? It’s a good idea to train in a gym (the lack of people around you when training at home can serve as an excuse not to do much). It’s also good to choose a gym where you don’t feel excluded and cornered. At the same time, be a normal person! Don’t hide in the corner or isolate yourself in the studio. Equally don’t dress in fluorescent clothing and make loud grunts to draw attention. Be a nice normal person and you will attract similar company. Muscle soreness can often indicate you are getting stronger. Sure it’s a bit painful, but it’s also a cause to celebrate. General weight loss programs are often so unspecific (i.e. “eat less, train more”) that it’s hardly a surprise you are often told to stay away from the scale. Since our program is far more specific, you can often see initial results from around day 6. This is not boasting or marketing here, it’s highlighting a simple truth: the scale is not your enemy. I recommend going on the scale every 3-4 days to check how you are doing. You should be aware that this is partial information. For example, while you are losing fat, you will also shift water and glycogen – sometimes up and not always down. There’s no harm in taking measures every few days and checking you’re on the right course. It’s one thing to say “you’re doing great so keep going”. It’s a completely different thing to see it for yourself and there’s nothing more motivating than that. You can see my own transformation on the video to the right. If you compare one photo to the next (which were taken daily), there’s only a little change to the trained eye. But if you skip a few photos and look at changes at a 4 days interval, you can clearly see a trend. Here are more examples to boost your weight loss motivation. As mentioned, weight gain is often the result of over-eating. Craving and snacking play a big part in that. There are some interesting psychological aspect at play. It should be clarified at this point that it’s not so much about the fact that you may eat more or less (i.e. calories). It’s much more to do with your Insulin levels. Even if you eat less but you are constantly eating and thinking about food, that will prompt high Insulin in reaction. Insulin drives sugar into fat cells which is why it’s called our “fat storing hormone”. Clearly, we need to eat less, but more importantly, we need to eat less often. Let’s explore! We often mistake cravings for food (or even cravings for something sweet) with thirst. Try this, the next time you are wondering in the house thinking what you can eat to quiet your tummy down until it’s time for dinner, stop and think. 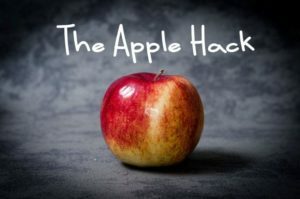 Would you eat an apple right now? Do you crave it? If the answer is yes, then you’re likely dealing with a real craving. If the answer is no, you are more likely mistaking thirst for food craving which is very common. Solution? Don’t be common. Have a drink of water and you will soon feel better. One of the things that’s interesting about people who are over weight is the tendency to constantly think about food. If not food right here and right now, then wondering about what to have for lunch or dinner in a fairly obsessive way. It’s interesting to see that in most cases, attention to food is missing, which is why we constantly think about food. This comes down to mindful eating and this is HUGE. Slow down your chewing (your mama was right!) and focus on the taste and texture of your food. If you are right handed, try eating with your left. The feeling it’s not natural makes you more mindful about each bite. It’s also good for motor control. The stronger the smell, the smaller the bite. Ever notice how people who are busy cooking in the kitchen all day, have less appetite once they finally sit down to eat? Eating and smelling are sensory experience but once we’ve had enough, we tend to want less. The idea is simple: Smell your food before you eat it. Most of us grew up with “finish your plate, there are starving children in ___”. The truth is, food has been wasted as soon as it’s left the kitchen – regardless if you eat it or not. Making sure you lick your plate clean, will not make the starving any less starving, but if they knew about it they might get angry with you nonetheless. Break this habit today and make sure you always leave something (even if it’s small) on your plate at the end. You must break the need to eat food just because there’s still some left on the plate / table. Chopsticks, especially if you are bad with them. The sheer effort and inconvenience relative to a fork and a knife might mean you give up the fight for the last bits on your plate. Plus, you might learn a new life skill. As it turns out, blue is the least appetizing colour. Sprinkle a bit of blue around the table and see if it helps. Blue napkins, blue plates, blue food. Whatever you can find. If you’re a restaurant (or a host that like to fish for compliments) and you want people to eat more food – do the exact opposite. Ever noticed that while most days you can stop thinking about food, it’s not always the case? Sometimes, when you are truly busy with something, time seems to fly and you don’t really think about food. Does that ring a bell? 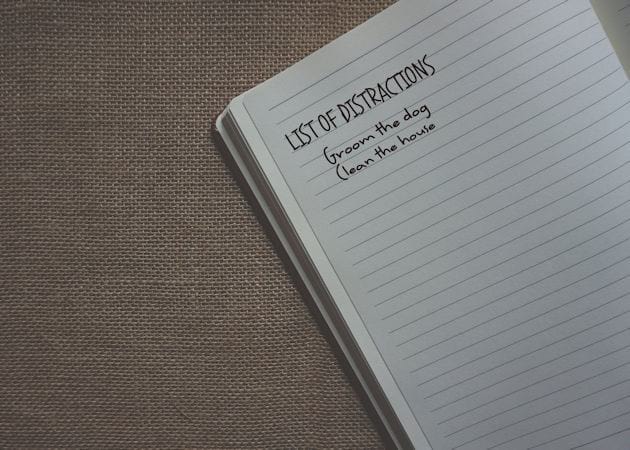 That’s why it good to get a list of distractions in place, whether you’re going to do something useful or for leisure. Stuff like: grooming the dog, completing a few exercises, deep breathing, polish your nails, take a walk or call a good friend you often chat to. Make a list and have it at hand. Your biggest enemy when it comes to craving is boredom or activities that require constant stimulation. Whatever dietary guidelines you follow (we have our recommended guidelines in the program), one thing is for sure – do not listen to your body. Diet Day #1 – I removed all the fattening food from my house. It was delicious. Don’t trust yourself. If it’s in the cupboard, it will eventually get eaten. If you’re serious, get rid of sweets, junk food and anything that you don’t want to be regretting later. Make a shopping list and stick to it. When you list your choices, you are less likely to make bad choices impulsively and not be aware of the process. Even better, shop online with that list, that way temptations are not just a shelf away. Invest in your gut health. This is a subject on it’s own but changing your microbiome for the better has the potential to affect everything, including what sort of foods you crave. If you’re doing BellyProof v4, you now have a new guide. In the guide, you learn how small changes you can make in your home can make a big difference. Stuff like light, electronics or even where you spray that deodorant. They can all have small but significant influence over your hormones. Which of course can help or undermine the process. I have decided to mention it here, in case you haven’t seen it yet, as it’s easy to do and worth doing. I would love it if you found motivation in healthier living and improved wellbeing from day 1. This is exactly what this is. The only time you say “Diet starts Monday” is when you pick up the phone to order a pizza. If you are not mentally ready for all… you might as well do nothing – right? It creates the illusions of balance. When people think all or nothing and when they think about calories (you can see the problem with calories here), they think they can balance good and bad. You can try to balance a good meal with a bad meal, but real fat loss is not about balancing energy. 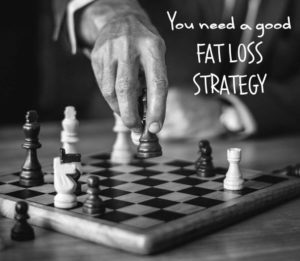 It’s about an efficient structure where you access fat (including stubborn), break it and then oxidize it. There’s zero point in doing “all” for one day, then “nothing” for the next day. That’s just balancing guilt and lack of results. All or nothing, but shorter time frame: The program is very much all or nothing – I want you to give it all but you only have to give it all for 5-6 weeks. That’s it. True, it does mean some hard work – but it bares massive rewards, it’s fun and it’s guided in details so you never end up doing guess work. A lot of programs ask you to put faith in them for 3 months. The BellyProof program also needs your faith initially but we’re not talking 3 month. We’re talking 6 days on average before you start noticing initial results. How can you fail when you got proof of concept (on yourself) and a great structure to follow over a relatively short time? There is a very well balanced structure that accounts for everything you can imagine and more. You’re not playing checkers and you’re not guessing, you’re a strategist playing chess. If you know it’s going to work and you follow it, then there’s no guess work involved and you shouldn’t experience break downs. All or nothing: Decide on a starting date and do everything you can to start. Some people take a few days, some people don’t. Yes – there’s a few protocols you need to learn and the devil is in the details. We account for that to a large degree and there is an easy learning curve. So, pick a date you can realistically commit to start. This should be a time with less travel, less birthday cakes around you and less crazy days at work to keep you stressed and preoccupied. The better you can commit to the protocol the better your results are. My point is not to wait for the perfect time that never comes. But also to plan it so it sits well with events taking place and how you manage your day. Something: Until you start the program, you can make an effort. An effort to eat better, learn and improve your understanding of the protocol and even practice a bit. “I didn’t start”, doesn’t mean you need to make your life harder later on. Until you start the protocol in full, you don’t need to stress about any details. Though, it would be a good idea to make some effort where you can. After the program finishes, there are guidelines on how to keep lean. It’s not about going back to unhealthy lifestyle but equally, staying lean can involve bad food, alcohol and more, if you understand how to balance it out. If you gave the program everything, why would you revert back to nothing? It’s not all or nothing. It’s something.